The increasing cost of projects and shifting domestic consumer demand preferences have altered the capital investments landscape in China,” according to Greg Ray, the senior analyst assigned to many of IPA’s in-country client engagements there. Multinational owner companies once drawn to the lower costs of building commodity chemical producing plants in China have completed their projects. Those projects are now mostly in production. What multinational owner companies and domestic Chinese entities are spending capital on today are specialized projects in China to meet local consumer demands, Ray said during a recent discussion. The capital investment swing from commodity chemicals projects to more technically complicated projects represents “a transformation of the peoples demand for healthy and safer products,” particularly for items such as the technically complicated ingredients for food products, advanced coatings, sealants, and other improved construction and architectural products, Ray said. However, projects are getting more expensive in China. Several factors are at play. Although the cost of equipment procured from domestic sources remains relatively inexpensive, other project costs, particularly bulk materials and construction expenditures, are on the rise. In addition, it is difficult to separate out the additional costs for quality control and quality assurance that are required to support onshore procurement from Chinese vendors versus competitors overseas. Simple sticker price comparisons do not consider the additional owner administration costs inside China to ensure on-time delivery of quality materials and equipment from domestic suppliers. 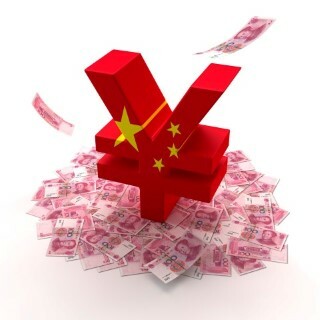 Additionally, Chinese government subsidies that were attributed to keeping bulk materials prices lower than the rest of the open world market are slowly being removed, Ray said. Construction costs, meanwhile, are increasing as the result of field productivity changes. More man hours are now needed to perform comparable construction activities than were needed in the past. Some recent reports suggest that the slowdown in productivity is related to the Chinese economy shifting from an abundance of construction activities to more professional and consumer services work. Despite China’s 1.3 billion population, the availability of experienced and skilled construction workers may be declining as more workers are performing various customer services jobs in China’s burgeoning cities. These jobs are considered easier, safer, and more lucrative. The question of slowing capital project construction productivity is an area of interest IPA will continue to monitor. In addition to the shifting landscape of new entrants into the workforce preferring service industry jobs over construction jobs, an additional factor may be significantly affecting the labor force: China’s former one-child policy. Enacted in the 1970s, China’s regulation of “one child per married couple” had been in place for four decades. Single children from single-children parents are the norm these days in China, and these days, there is no lack of media reporting on the “Little Emperor” issue in China wherein no expense is spared in spoiling the children. It follows that the grandparents and parents of these single child households would much prefer their Little Emperor to work in hospitality, real estate, or even the tumultuous stock market, than work on a dangerous construction site. Furthermore, China’s “pushing outwards” strategy of entering into engineering, procurement, and construction (EPC) contracts internationally opens the average construction laborer up to the opportunity to work overseas instead of inside China. When all else is held constant, an opportunity to work overseas provides construction laborers with a larger percentage of disposable income than if they worked inside China. Simply put, Chinese construction workers would rather go overseas than work in China because they have the opportunity to pocket more money. The end result is that the EPC contractors in China are struggling to find adequate, trained, skilled labor for construction. As a consequence, they end up hiring less skilled labor, which is less productive, and also more transitory (i.e., turnover is increasing). In addition to this effect on productivity, urban real estate prices have skyrocketed over the past decade. Most EPCs have their central offices in city centers and, therefore, are struggling to maintain margins as their office employees’ salaries have been escalating to match living expenses. One common strategy to maintain margin has been to sub-sub-contract construction services and select more “mom & pop” organizations to perform piecemeal portions of the construction phase. These organizations are poorly organized and lack typical processes and procedures that more mature construction firms have established. This, in turn, also affects the construction labor force’s productivity; although costs are reduced, both quality and efficiency are penalized. Going forward, there are three major trends for China: increasing technological complexity within capital projects, increasing cost, and increasing involvement by the central government in keeping the economy stable and progressing towards the future. The last of these should never be forgotten: Beijing will use all the ammunition it has to stabilize the Chinese economy and keep the country on its current path of economic development. In the almost two decades since establishing its presence in China, IPA has completed three comprehensive studies of the nation’s capital projects market. These studies resulted in the creation of the location factors necessary for IPA to measure the drivers of project success for its clients’ projects in China, as well as to collect project wage, bulk materials, and equipment cost data. These detailed studies form the basis of IPA’s understanding of the changes in the project landscape throughout China. IPA engagements in China have shed light on how joint ventures involving foreign firms and China’s state-owned companies operate, such as in developing engineering designs, deploying technology, working with vendors, and delivering construction packages to construction teams. Still other IPA engagements have examined issues in quality and the effect on the construction, commissioning, and startup phases. As foreign multinationals invest in projects to increase downstream production capabilities so too are domestic China entities. Spurred by government spending, domestic entities are becoming increasingly experienced working on Chinese-operated and regional exploration and production (E&P) and onshore projects. IPA maintains a domestic China projects database of 30 projects completed by wholly domestic organizations. Quantitative data from IPA databases combined with empirical project research specific to the region can be used to evaluate practices and outcomes of foreign firms versus their domestic China competitors. Separately, IPA recently completed a study examining the performance of Chinese EPC contractors who are becoming more active players in the global projects marketplace. In addition to assisting owner companies with these EPC providers, Chinese-owned EPC companies can use the study’s findings and tools to improve their planning and bidding process when trying to win international projects. This article has been updated since its original publication in September 2015 to reflect China’s decision to rescind its one-child policy in October 2015.